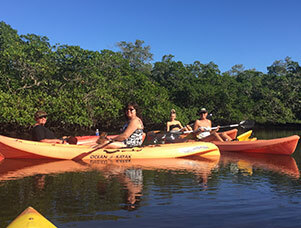 Join our fun Certified Guides and kayak in the calm shallow waters of Estero Bay and explore the beauty of the mangroves and look for wildlife along the way. 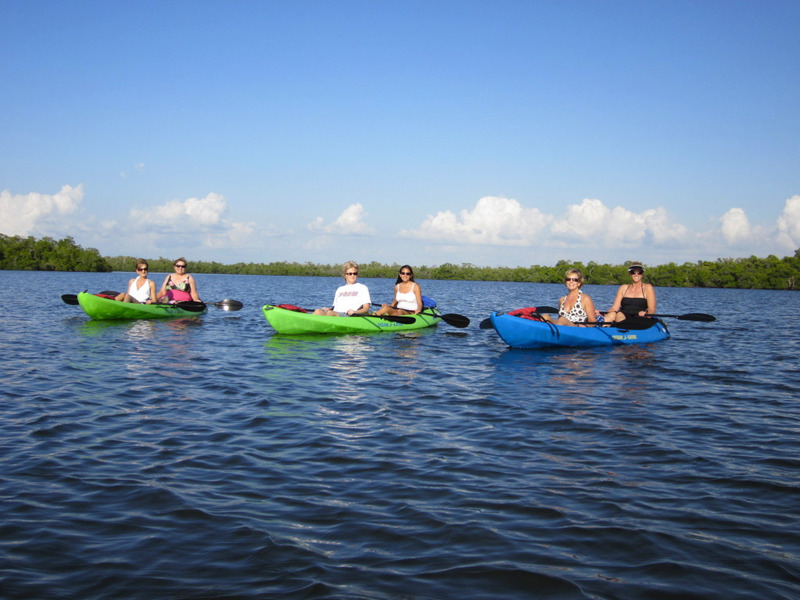 It is common to sight dolphin, manatee, and different species of birds on this tour, however, there are no guarantees. 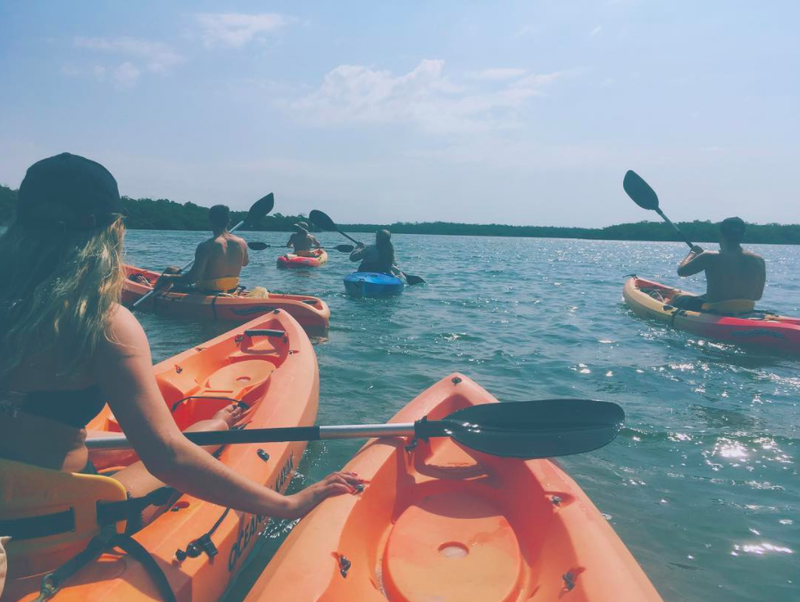 The area is also feeding grounds for sea turtles, rays, and different species of sealife. 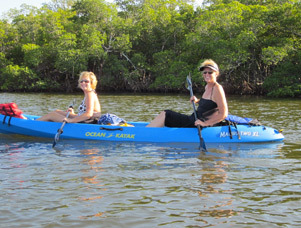 We use stable kayaks with back rests. Suitable for all skill levels. Beginner? No Problem! 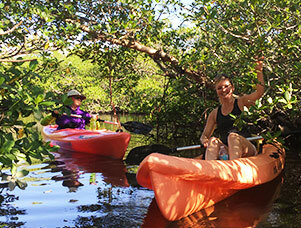 Our guides are more than happy to teach you the basics prior to departure. Wear clothes you don’t mind getting wet and bring a water bottle. There is also bottled water available for sale. Bring hats and/or sun protection. Tour not recommended for children under 10. We find that our younger friends may enjoy our shorter dolphin cruises more. 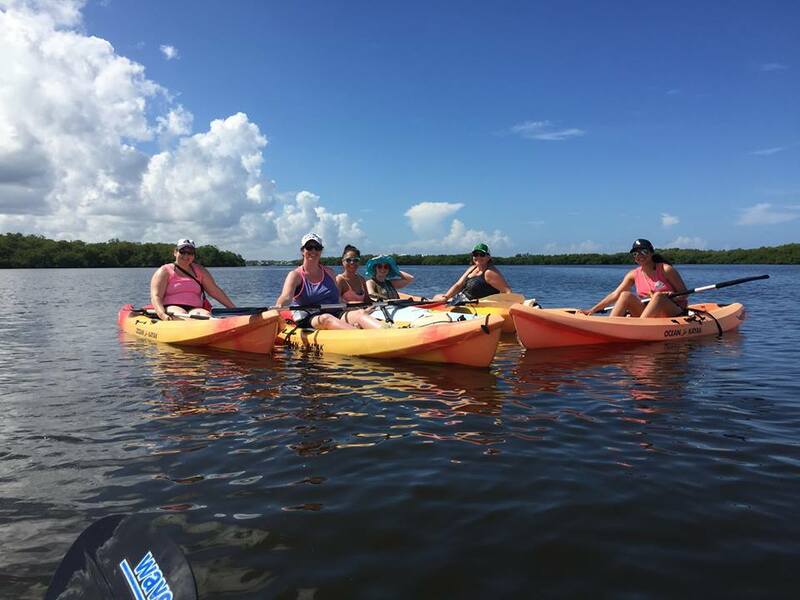 Enjoy a small group tour with us! No more than 10 on a tour. Gratuity is optional but appreciated by your guide if you feel he or she earned it.